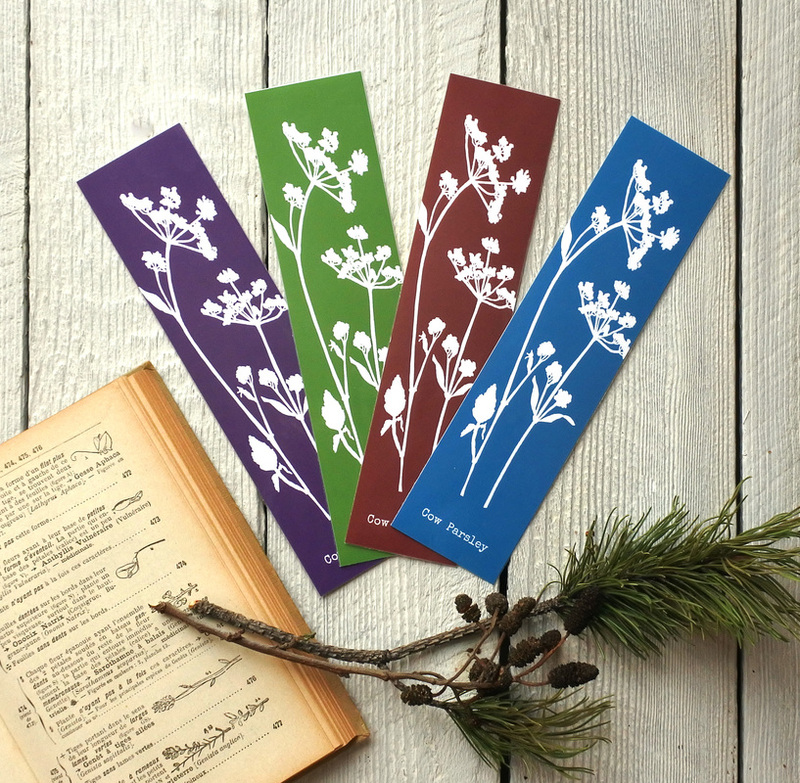 Colourful images of Cow Parsley feature on this range of bookmarks. The images are taken from the plaster cast tiles that I make, then altered digitally to produce these striking designs. 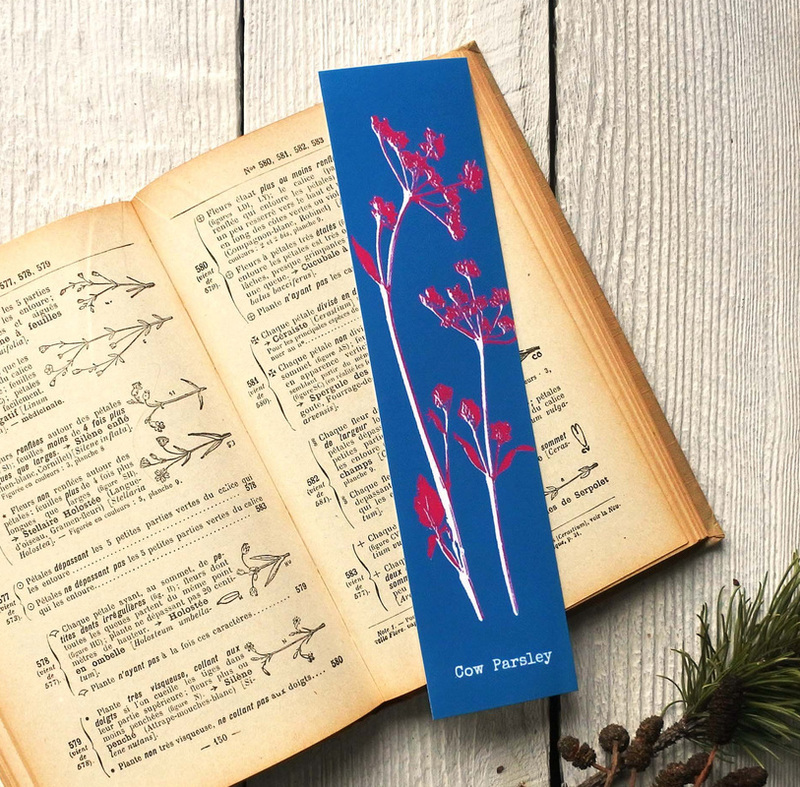 Ideal as stocking fillers or gifts for bookworms! 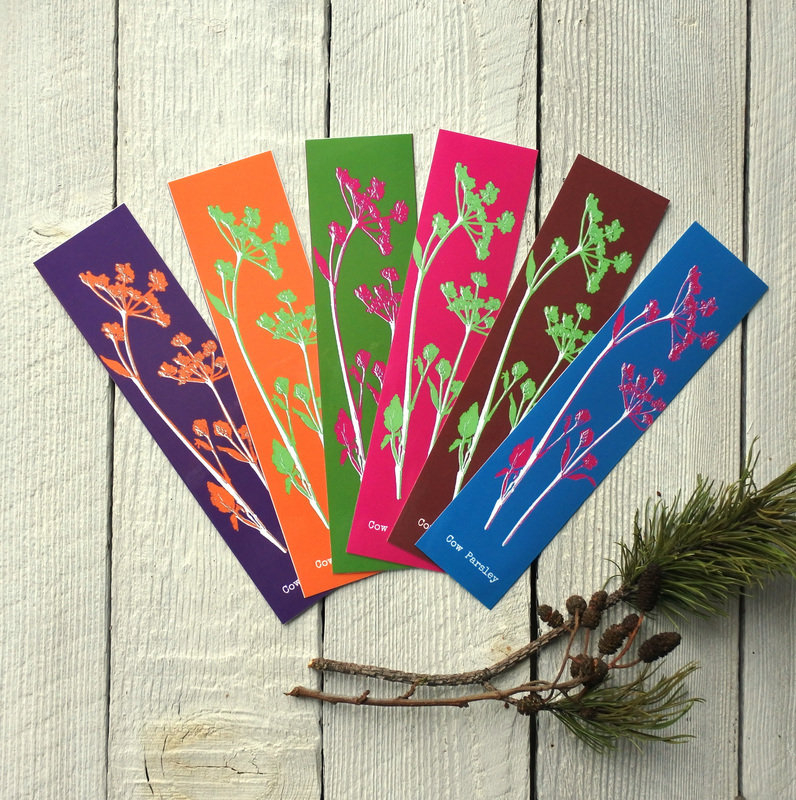 Printed on 250 gms ink jet card, the colours really stand out. Laminated to protect the design. size 5 x 20 cm, plain on the back. The price for P & P is for the UK only. Please contact me to & I will calculate amount to other countries. Postage costs for multiple buys will also have to be calculated.